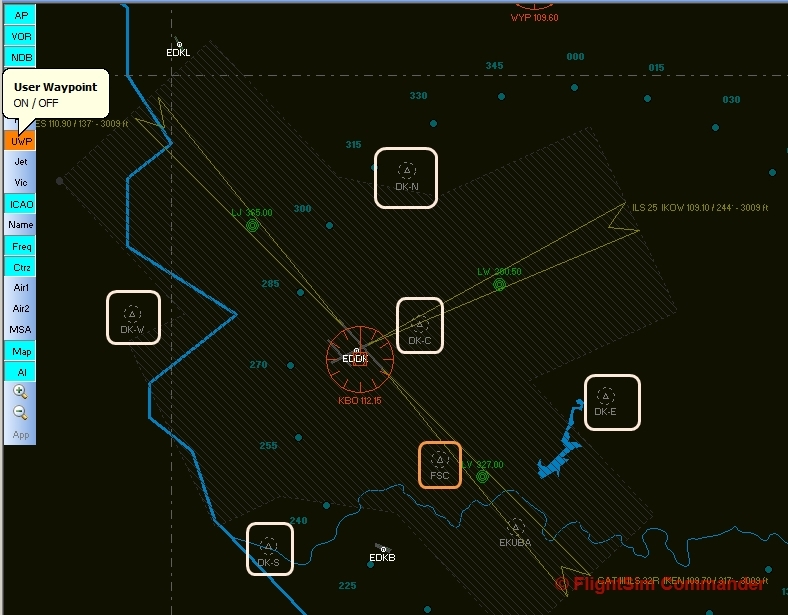 Can you please help me to find the German VFR Notification Points for FSCommander ??? Activate "UWP" in the left button bar. Hover over the VFR point for more information.